Talk about trapped! 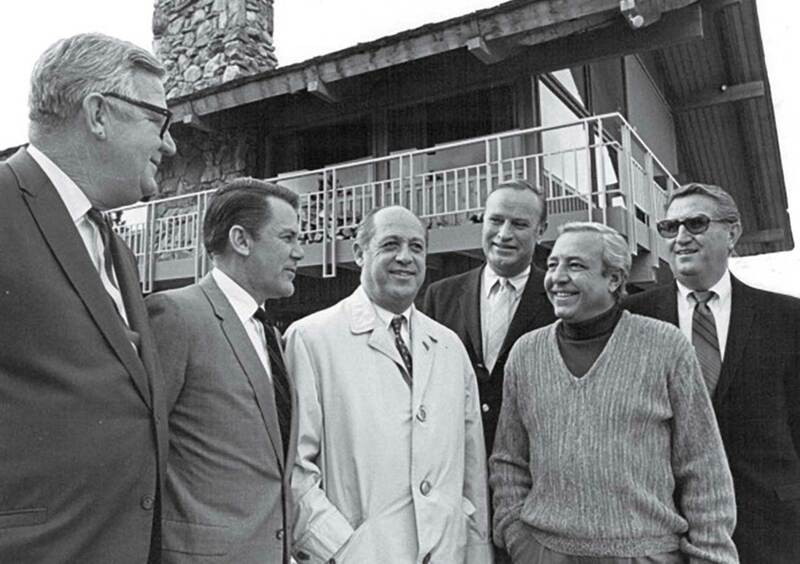 Arnold Palmer found himself wedged between (from left) steaming Tour pros Jack Nicklaus, Billy Casper, Bob Goalby and Kermit Zarley, and cranky PGA holdouts Walter Hagen, Bobby Jones and Sam Snead. The Professional Golfers’ Association of America formed in 1916 as an organization of golf pros—people who ran pro shops and gave lessons. Many clubs in the northern states closed for the winter, so the pros who toiled there would head south to pick up extra work and compete in tournaments. The PGA began to organize the events, and by the 1930s a winter tour had become somewhat stable, with a number of annual dates and a steady stream of players. Still, the small purses, usually put up by chambers of commerce or resorts looking to stoke tourism, were not enough for anyone to live on, and when the weather turned, players went home to their “real” jobs. That remained true until the 1950s, when the schedule of events had expanded and the purses had grown large enough that some players decided to go out on tour full time. Suddenly, the PGA was comprised of two groups: golf pros and pro golfers. 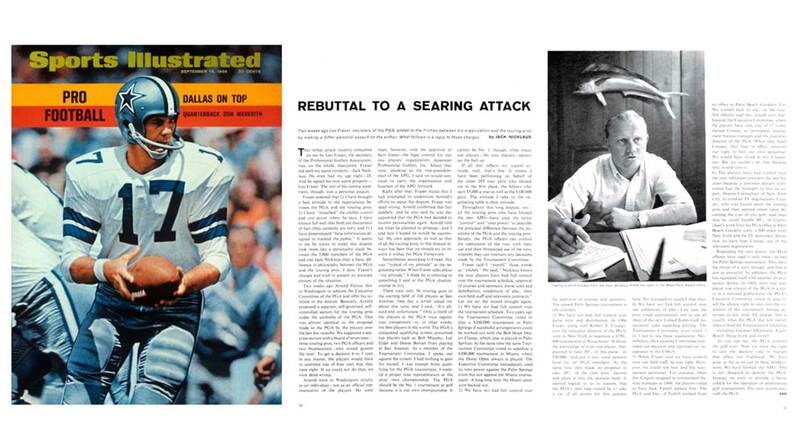 In a 1968 edition of SI, Nicklaus fired back at the PGA suits. Through the ’60s, the gulf between those two factions grew wider, aided by demographic shifts and the convergence of two transformative forces: the swashbuckling Palmer and TV. In 1958, the total prize money available on tour sat at $1 million; by ’68 it had hit $5.6 million. Competition for that cash was Darwinian. Each year, tournament winners and the top-60 money earners from the previous season were granted exempt status, but otherwise fields were filled by one-round, top-scorers-get-in Monday qualifiers. Those qualifiers were open to both tour regulars and to any local PGA member who wanted to take a week off from the pro shop and try to win a trophy. By 1964 there were so many players on the tour and so many local pros vying to get in fields—and so much complaining from tour regulars—that the PGA created a qualifying tournament (later called Q School) through which players could earn a tour card. Cardholders did not join the ranks of the exempt, but they could enter Monday qualifiers for $100 while non-cardholders now had to pay $200. In addition, the number of slots available to non-cardholders was capped. Most fields topped out at 144 or 156 players, which meant that after exempt players were accounted for, as many as 150 guys were battling for 50 to 75 spots each week. For the touring pros the stakes were high. Whether they qualified or not, they had to throw down for the entry fee, food, travel, lodging and a caddie. Players coveted any opportunity to earn a check, so they were excited when, in 1966, Frank Sinatra offered to sponsor a new $200,000 tournament in Palm Springs. What was then known as the PGA’s Tournament Bureau was run by the Tournament Committee, made up of four players and three PGA executives—Elbin, Fraser and treasurer Warren Orlick. In a 4-3 vote, the committee decided to add the Sinatra event to the schedule. Elbin was against the Ol’ Blue Eyes plan because the event would take place within a few weeks of the already existing Bob Hope Desert Classic, also in Palm Springs, and Hope himself had called to say he didn’t think both events could survive. Decisions of the Tournament Committee were subject to the vote of the full, 17-member PGA Executive Committee, comprised of 16 officials and one player. Instead of waiting for that group’s next gathering, Elbin called for the four Executive Committee members on hand—the three officers and the player rep—to vote representing the full committee in absentia. By a count of 3-1, the ad hoc Executive Committee overruled the Tournament Committee. The players protested. “We run all the risks,” one tour competitor told SI at the time, “so why should we have a bunch of armchair club pros telling us we can’t play a $200,000 golf tournament?” The touring pros also took issue with a new $250,000 tournament in Westchester, N.Y., that PGA executives had negotiated in secret and from which $50,000 of the purse was supposed to go into a general pension fund for all PGA members. The plan was scrapped, but the damage was done. To the PGA, the Sinatra event represented just cause for using its veto power for the first time its 52-year history. To the players, it was an act of war. From left, Chalfant, Elbin and Fraser, were trying to control the fate of Tour players, which is what Nicklaus addressed in the '68 SI article. The bad feelings came to a head in Memphis on June 1. The players produced a seven-point manifesto demanding control over scheduling, finances and the hiring of tour-related personnel. Most of all, they insisted on taking away the PGA’s veto power. In all, 135 players signed it, and added an ultimatum: If the PGA didn’t agree to all their points by June 15, the players would boycott the 1967 PGA Championship, scheduled for July 20 at Columbine Country Club, near Denver. The next day Elbin told the press that the PGA would consider the document. Since June 15 was the first day of the U.S. Open, he arranged to meet with the players on June 20 in Cleveland, but not before amping up the rhetoric by calling the tour leaders “agitators” and noting “many of the players are following blindly a trail baited with half-truths, insinuations and outright lies.” The sides traded jabs for the next two weeks. Elbin sent a letter to players suggesting they could be suspended if they boycotted, which Doug Ford, the 1957 Masters winner and the players’ unofficial “grievance chairman,” said the players “laughed at,” since by rule the harshest punishment one could receive for skipping an event he’d committed to was a $100 fine. The build-up led to an unusually tense Open week at Baltusrol, in Springfield, N.J. “Palmer, defending champion Bill Casper, and other stars of the game rushed in and out of a closed-door meeting with PGA brass between practice rounds,” reported the Spartanburg Herald on June 14. Casper hadn’t signed the petition, but only because he wasn’t in Memphis at the time. “I’m with the players,” he told reporters. “They’ve got my vote.” Such solidarity proved essential in Cleveland. In meetings that stretched nine hours and included bitter words and several stalemates, one final session led to a compromise: The seven-man Tournament Committee would become an eight-man group, with four players and four PGA executives. Voting ties and disputes would be settled by a new three-person advisory board whose members would be nominated by players and approved by the PGA. The players got six of the seven demands in their manifesto, including Creasey’s dismissal as executive director, but the PGA’s veto power remained intact. “It’s a good settlement,” Ford said afterwards. “We are happy with it.” The joy wouldn’t last. Players continued to grumble about the surviving veto power. On July 1, Ford announced that tour members had taken another vote and elected to disavow the Cleveland solution. They played in the PGA Championship but never appointed an advisory board, and they still wanted the Executive Committee stripped of its control. The accord both sides thought they had reached in Cleveland lasted all of 14 days. At a subsequent player meeting, Al Geiberger announced that he had a friend named Philip Freeman who worked as a management consultant, and that Freeman had volunteered to spend three weeks analyzing the situation and identifying the sticking points by interviewing players, sponsors, tournament officials and PGA members. He would then produce a proposal to solve the problems. 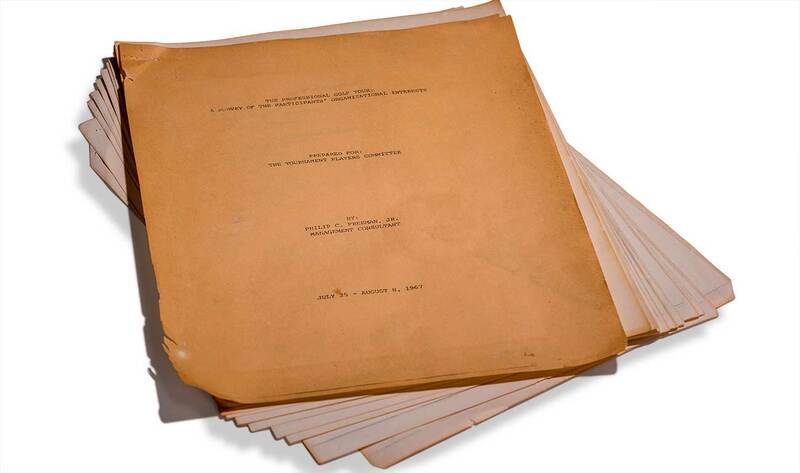 On August 8, 1967, Freeman filed a 23-page report that recommended that the PGA and the Tournament Division become two separate entities housed under one roof. The PGA would continue to operate with its current structure and the tour would be overseen by a board of players and outside experts who’d hire a commissioner to run its day-to-day operations and long-term business. He suggested that the players hire a lawyer to represent them in negotiations. Arnold Palmer, a mediator and eventual runner-up to Nicklaus, was under intense pressure at the 1967 U.S. Open at Baltusrol. The players read the report but took no action, at least not until the PGA’s annual meeting in Palm Beach, Fla., in November, where Elbin gave a speech that included a warning: Follow the rules or “get out.” His stance, he explained, came in part because he was “tired of being harassed.” If it wasn’t clear that he was referring to the tour players, he proceeded to introduce a new tournament entry form that limited players’ rights and required anyone who qualified for the PGA Championship to play in it. “Entrants in our regular tour events will be considered to have an obligation to compete in our championship,” he said. Call it the anti-boycott clause. The plan for an expanded eight-person Tournament Committee agreed to in Cleveland survived, and during the annual meeting, the players filled out their half with Gardner Dickinson, as chairman, Doug Beard, Ford and Nicklaus; the executive half consisted of Elbin, Orlick, Fraser and vice-president Noble Chalfant. The group spent the winter sparring over the USGA’s new putting rules—the executive committee gave its initial approval but the players were vehemently opposed—and the new tournament entry form. When the Crosby Clambake kicked off the 1968 season in January, neither issue had been resolved. The players hired Gates, who advised them not to accept the new form. Faced with a mass revolt backed by legal muscle, the PGA sided with the players on the putting rules and reverted to the old entry form. It also hired its own representation: a Washington lawyer named William Rogers. For the next few months, Gates and Rogers carried on the conversation while assuring all parties they’d be able to negotiate an amicable settlement. “We phoned and met a great number of times,” Gates said. “There was never any acrimony between us.” The peace was not contagious. 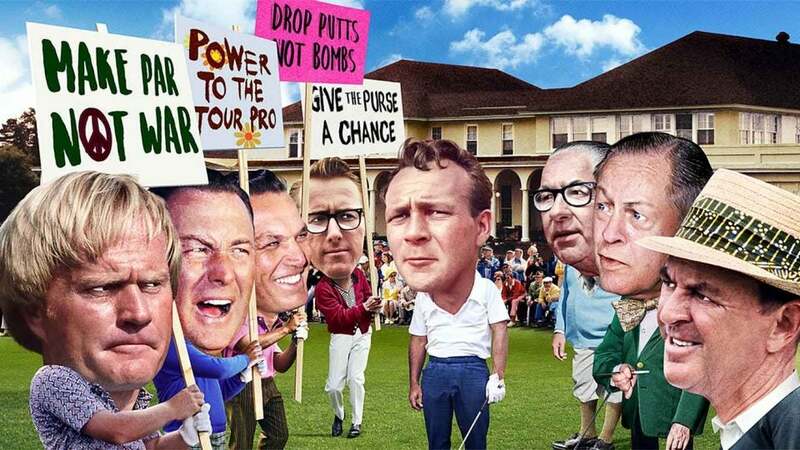 Rumors circulated that the players were considering the nuclear option: dumping the PGA entirely and starting their own tour. As if it was daring the players to go, the PGA rehired Bob Creasey as executive director in late July. Word spread that he had negotiated a $100,000 TV deal for the World Series of Golf and Shell’s Wonderful World of Golf without consulting the players, and that the money would go not to the Tournament Bureau but into a general PGA fund. Players argued among themselves. “Some of those meetings got emotional,” recalls Zarley. 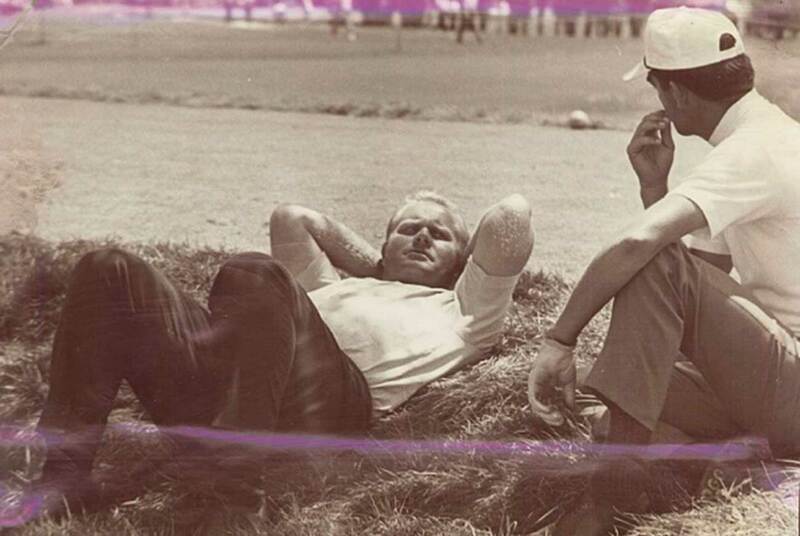 After he missed the cut in the PGA Championship at Pecan Valley in San Antonio, Jack Nicklaus was asked what he thought of the field, which included 112 club pros and only 56 touring pros. “It’s absurd and unfortunate,” the Golden Bear growled, which rankled the PGA. In early August, the situation grew even worse. Rogers and Gates had sketched the framework of a self-governing tournament division operating under the roof of the PGA. Sorting out the details of exactly how autonomous the division would be was the hard part. Since any amendments to the PGA constitution had to be filed 100 days before November’s annual meeting, Gates offered a placeholder resolution on August 6, 1968, to ensure that the issue would be on the docket. In part, the document called for a Tournament Players Section of the PGA, “which shall have full and complete authority over the conduct and management of the PGA Tournament Programs.” Elbin and his colleagues voted it down. Gates was incensed. “It was a simple item on the agenda, which should not have taken two minutes,” said Gates at the time. “The action was designed only to keep the door open for further negotiations. But the PGA officers slammed it shut in our faces.” He continued, “In so doing the officers completely undermined all the months of patient work between Rogers and myself and all the progress we had made toward a fair settlement of our differences. In a display of bad faith, they kicked over the traces.” “The players now wanted to be completely autonomous from the rest of the PGA,” Elbin responded. “This was completely unacceptable.” The following week Gates went to Washington D.C. to meet with PGA executives, who offered an eight-point plan that seemed to be an attempt to revive the Cleveland agreement. In it, they proposed creating an advisory board that would arbitrate disputes. But the plan gave the PGA a controlling majority on the board, in effect maintaining its veto power. This time Gates rejected the deal. Further negotiations fell apart, and later that day more than 100 players, gathered for the Westchester Classic, held a vote. The question at hand was the future of professional golf in the United States. By a unanimous count the tour pros went nuclear. Tension reached its peak at the 1967 PGA Championship, where Jack and 13-time Tour winner Dave Hill took relief from a hazard: the raging work dispute. No one seemed more conflicted by the split than Arnold Palmer. He’d publicly supported the players but maintained a dialogue with both sides. “He was selling clubs, so it was hard for him to alienate the club pros,” says Goalby. “He had to worry if they were going to stop carrying his stuff.” Besides selling clubs, Palmer had lucrative endorsement deals and widespread notoriety beyond golf, and he and his agent, Mark McCormick, were leery of being seen in a negative light by the public. Most of all, Palmer’s father, Deacon, was the head pro at Latrobe Country Club and a long-time PGA member. The organization meant a lot to Palmer personally, and he felt compelled to make peace. “I think that the pros and the PGA need each other, and there should be further negotiations,” he said after the formation of the APG. Palmer began working the phones, and on Friday, August 23, Elbin flew to Latrobe to meet with him. Six days later, Palmer returned the favor, jetting to D.C. to make a presentation to the PGA Executive Committee. Palmer wasn’t representing the APG, but Gates signed off on the trip. “My purpose as an individual is to try to find a solution,” Palmer said. In a closed-door session that lasted four and a half hours, Palmer made the case that the two groups should merge for a one-year trial, during which the tour would be run by a 14-person board consisting of the APG’s newly elected seven player/directors—including Dickinson as president and Nicklaus as vice president—four unaffiliated businessmen, and three PGA officers. Elbin promised that the full PGA Advisory Board would discuss the proposal at its meeting in Houston on September 6. “Any time you talk to Arnold Palmer,” he said, “it’s a step in the right direction.” “Arnold controlled a lot about golf in those days,” Goalby agrees. 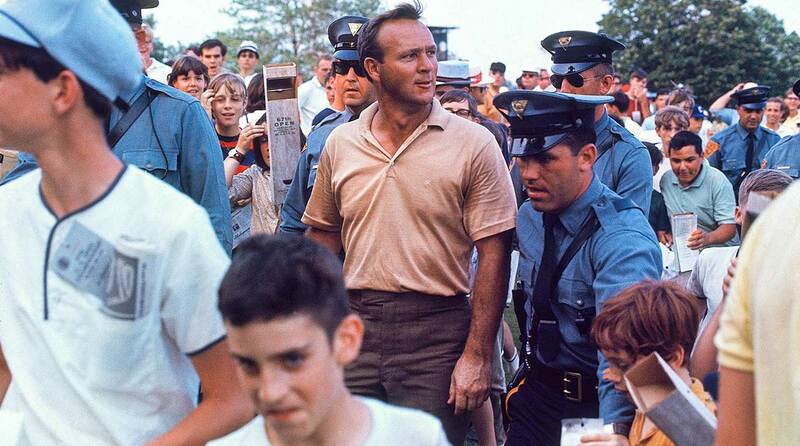 “Other players respected his opinions.” If Arnie had said he was sticking with the PGA, many would have followed suit. Philip Freeman’s 23-page report was banged out on a typewriter — and initially met with a whimper. Elbin lost it. “As trustees for all the owners of the PGA circuit, we pledge ourselves to defend our rights by all proper means, including legal procedures,” he said. The next day, September 24, the United States District Court in Delaware issued a temporary restraining order on the APG. The judge, however, could not stop the sponsors from making their intentions clear, and on September 26, Sea Pines announced that it would host an APG event in 1969, and the director of a group of five tournaments said that they, too, would flip to the APG. On October 2, the PGA released a letter from Sam Snead in which he vowed not to play in non-sanctioned tournaments. “The fact that I have been able to win more money at my age than ever before would seem to indicate the PGA tour is a pretty good way to make a living as it is being run right now,” wrote Snead, who, at 56, had won $43,000 in prize money that year. “Golf has been pretty good to this old country boy.” Over the coming weeks, Walter Hagen and Bobby Jones would also side with the PGA. If the judge saw Snead’s folksy testimony, he wasn’t impressed. Within 24 hours he’d rescinded part of the restraining order, and on October 14 he did away with the rest. MORE: 13 things to know about the PGA Tour's new schedule As the month progressed and more tournaments flipped to the APG, the old guard started to feel the pressure. Sponsors were dragging their feet on new contracts. Arledge and ABC were threatening to pull out of their deal. Dayton was set to host the 1969 PGA Championship, and its two biggest sponsors were making noise about backing out if the PGA could not guarantee the marquee players. Since they remained PGA members, and the PGA Championship remained a major, the players pledged to show up in Dayton, which helped the PGA—and gave it leverage. It soon announced it would sue any member that played in an APG event that took place the same week as a PGA event, since that would be a violation of membership rules. Unbowed, the APG announced it had contracts for 20 tournaments, and was negotiating with another 13 potential sponsors. The maneuvering suggested that, despite the contretemps, the two sides had reasons to prefer a cooperative arrangement. And negotiations resumed. In his speech at the PGA’s annual meeting, in mid-November, Elbin showed some give. “We’re willing to share control,” he said, “but the players so far insist on dominant control.” It was his last public comment on the matter; he’d reached the end of his term as PGA president. He was replaced by Leo Fraser. Coincidental or not, with Elbin gone the pace of chatter picked up. In December, Gates turned up at the PGA’s first club-pro national championship in Scottsdale, where the Executive Committee was meeting. A month remained before the start of the inaugural APG tour. Gates presented a 15-point plan. The PGA came back with 12 amendments. During a 15-hour meeting that started on a Monday afternoon and went into Tuesday morning, they hammered out most of the details, and on Dec. 12 an end to the war was finally declared. The PGA would form a separate Tournament Players Division, a freestanding corporation run by a 10-member tournament policy board of four players, three PGA executives and three consulting businessmen. A commissioner would run the tour and answer only to the board. All the APG contracts, and their tournament schedule, would be transferred to the PGA, and all pending litigation would be dismissed. What was the impact to the PGA Championship, in part, of the players' brawl with the PGA? Follow the money.